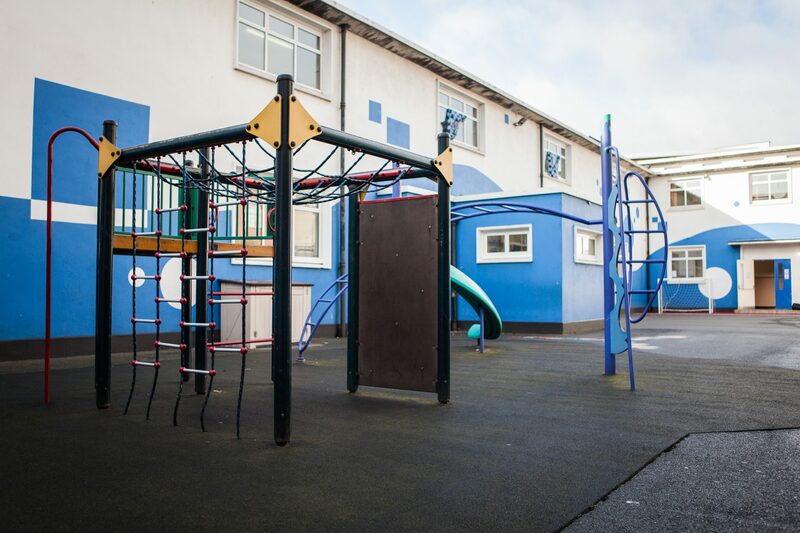 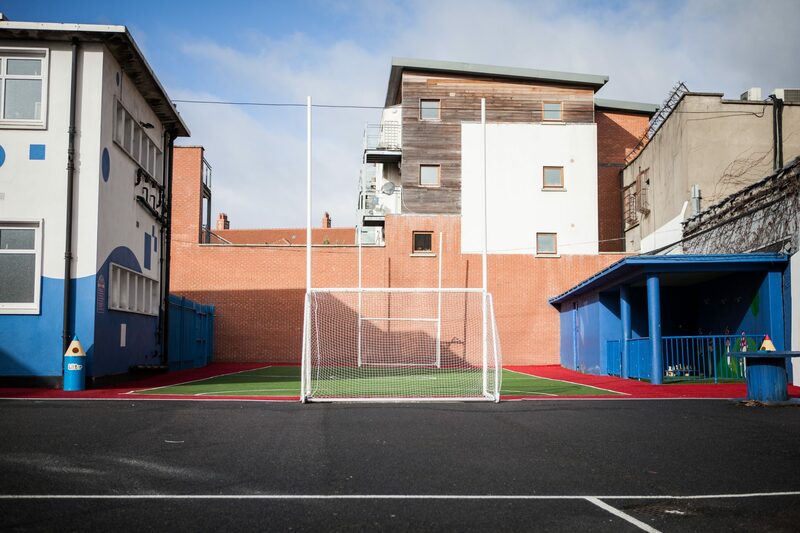 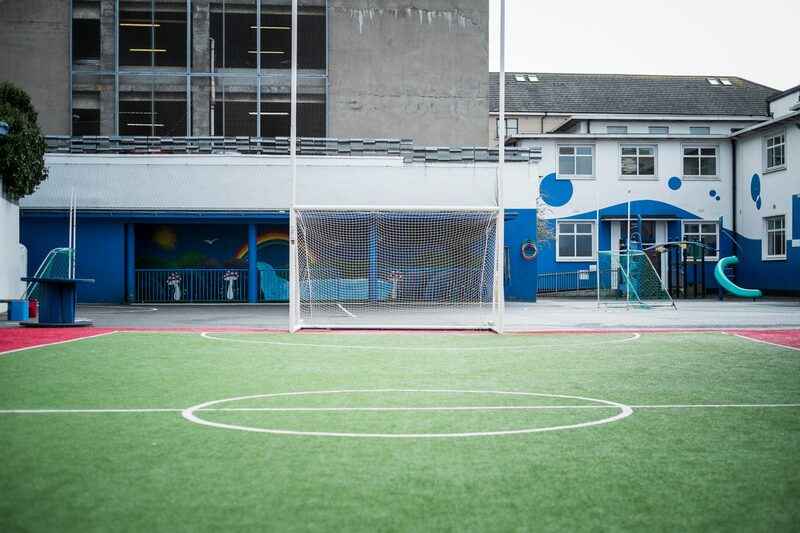 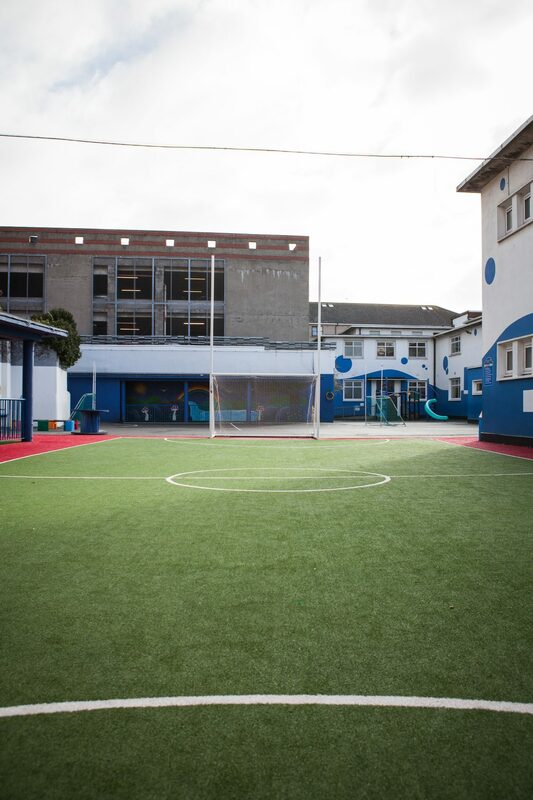 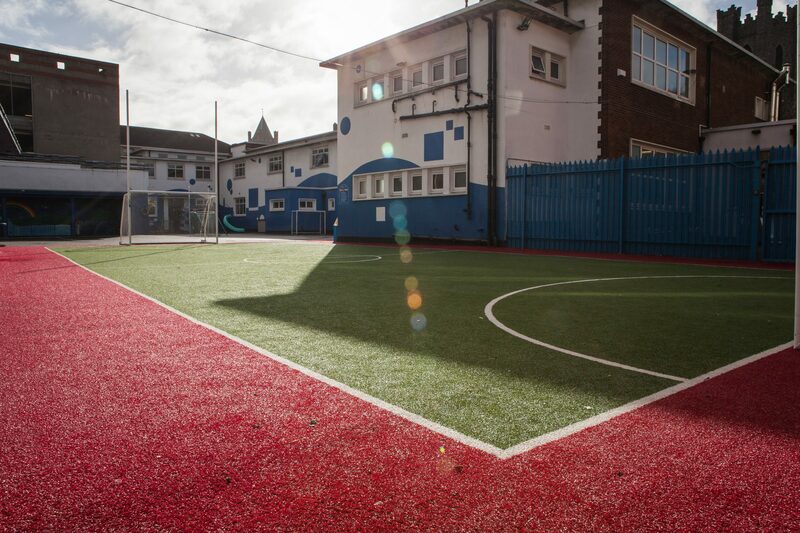 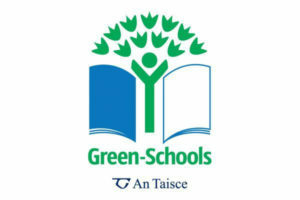 In St Audoen’s NS we have a lovely, bright playground, with lots to offer all of our students and all of their diverse interests and hobbies. 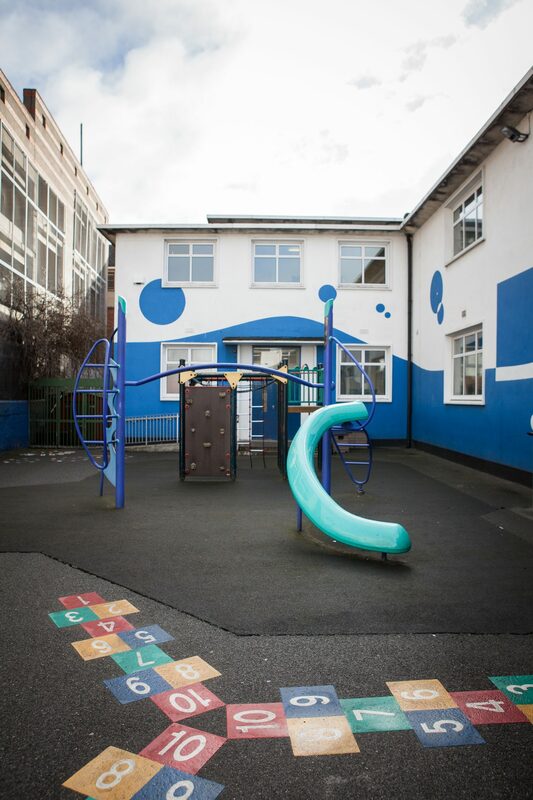 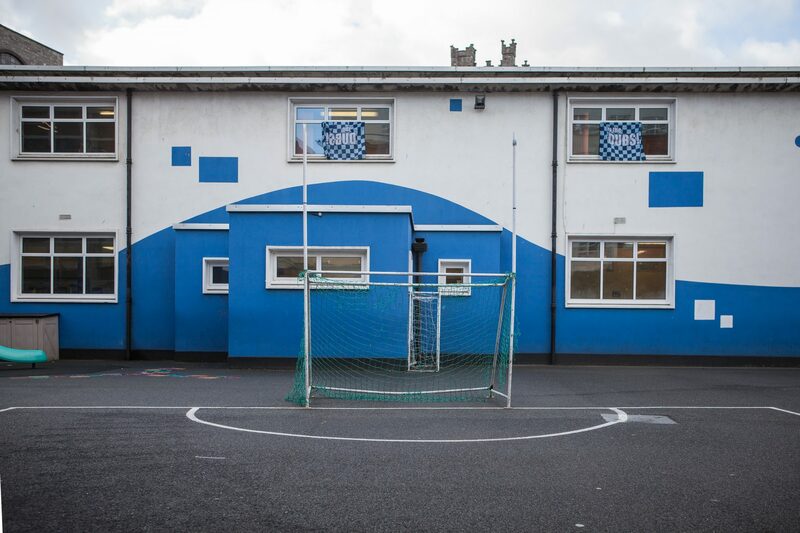 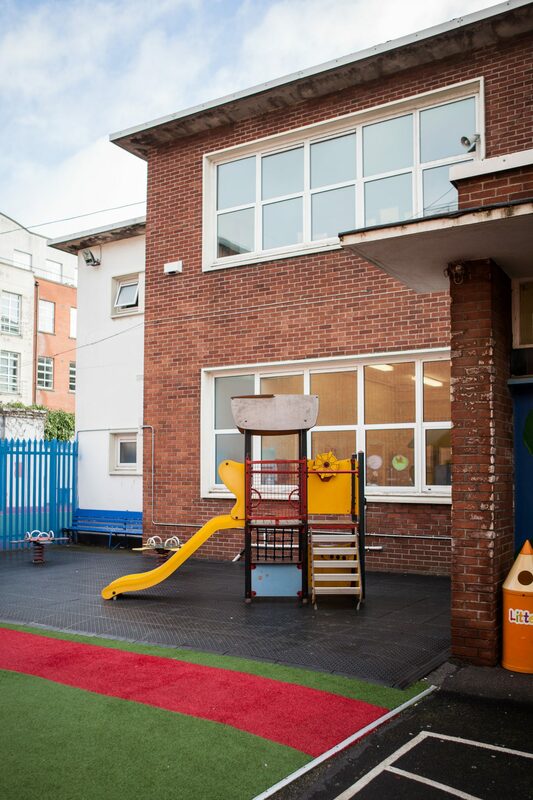 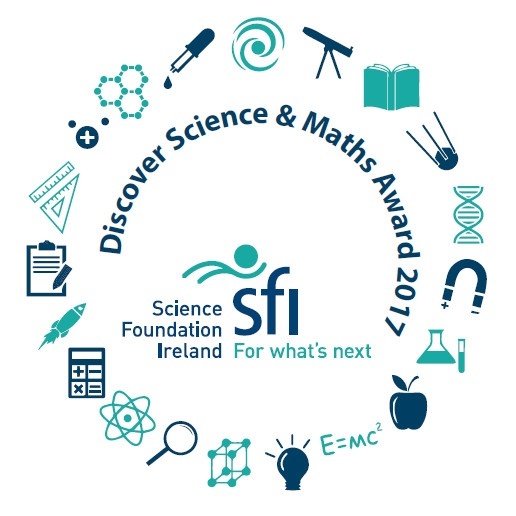 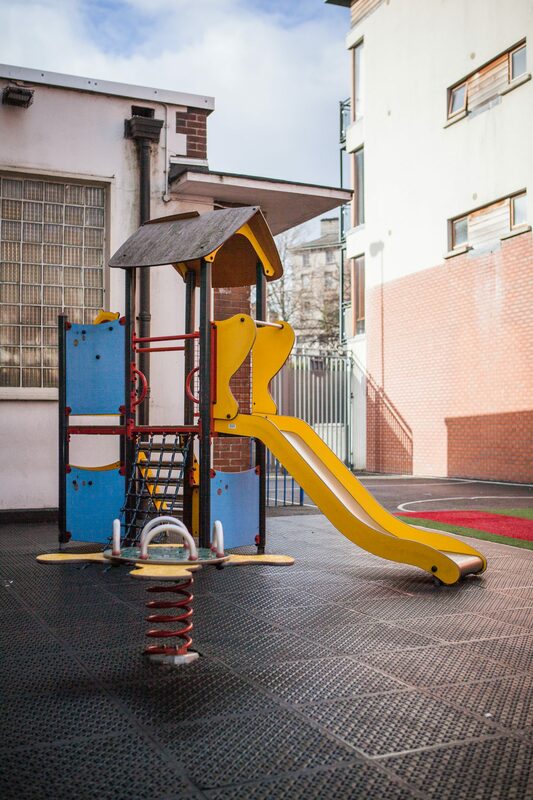 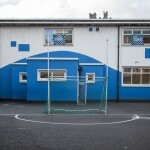 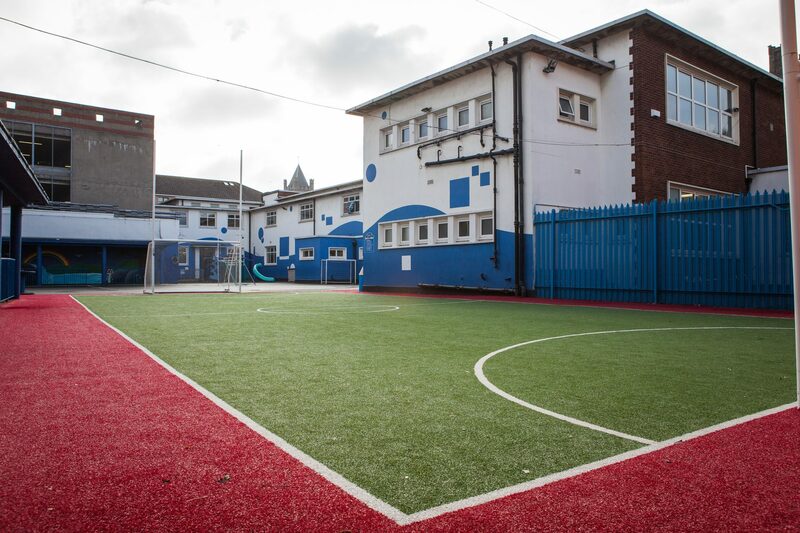 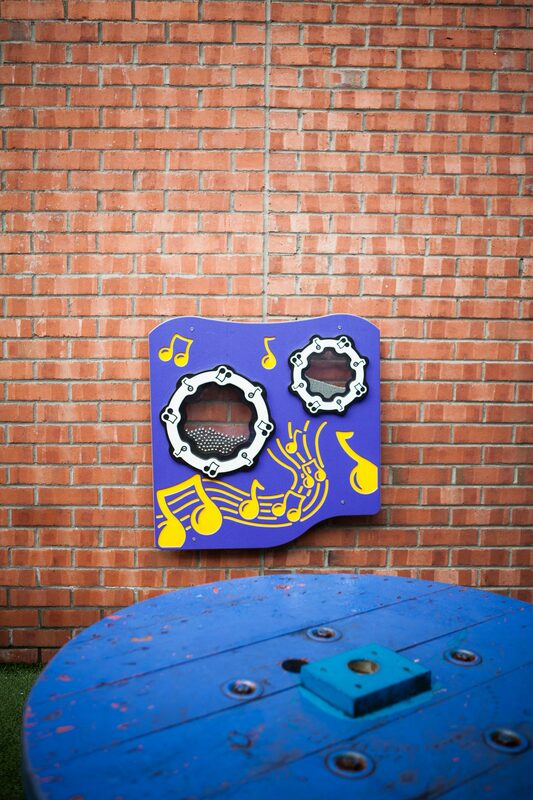 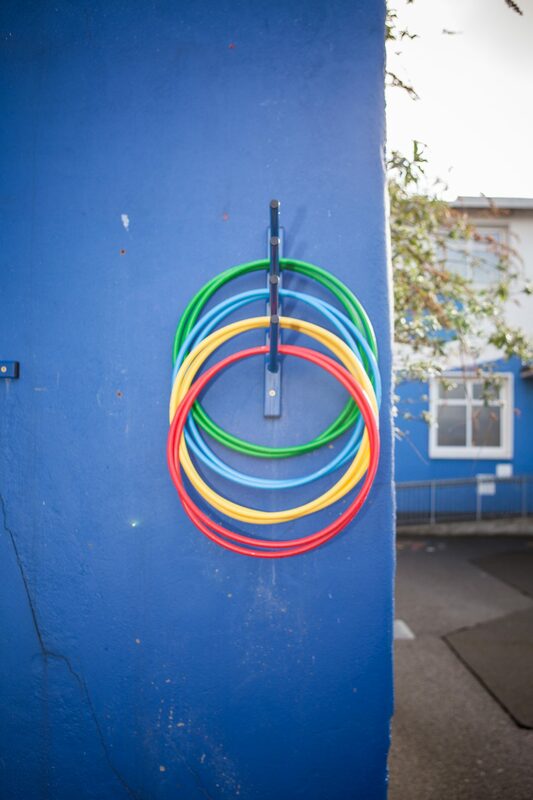 To support the broad learning outcomes of play, our playground in St Audoen’s NS includes areas for active, free, quiet, social, imaginative, creative and exploratory play. 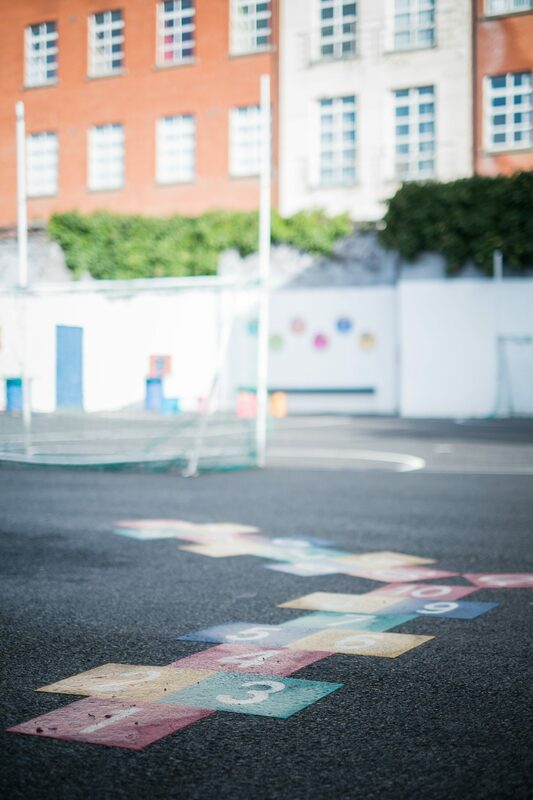 By inviting children to use their own initiative, explore possibilities and take chances we can provide them with opportunities to learn. 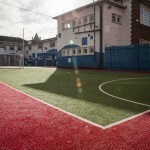 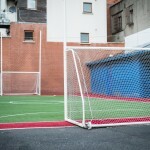 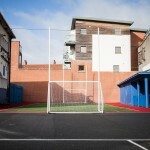 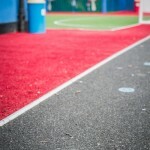 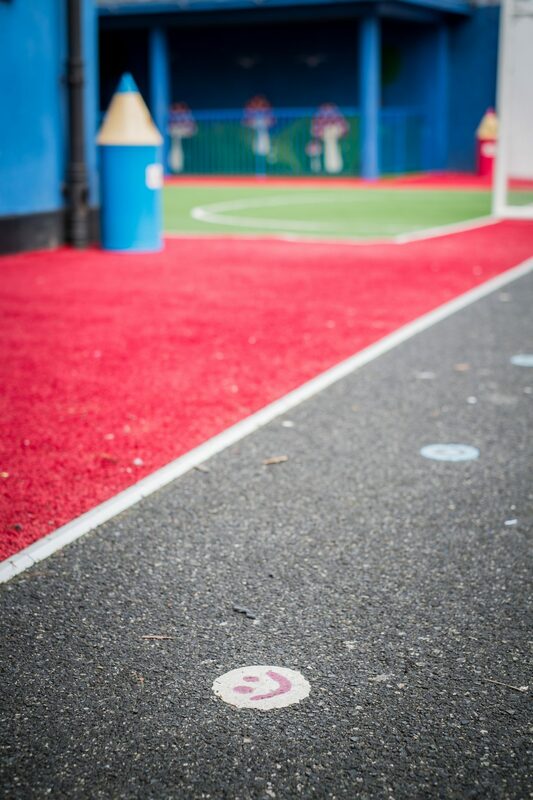 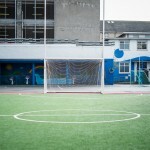 We have an astro-turf pitch for our team sports. 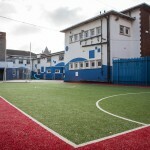 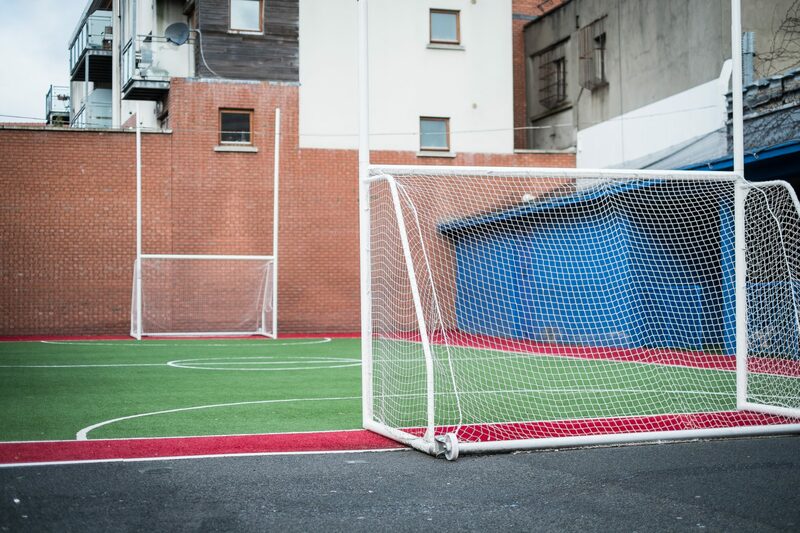 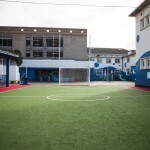 This pitch is very well used at all times of the day; break times, before school and after school. 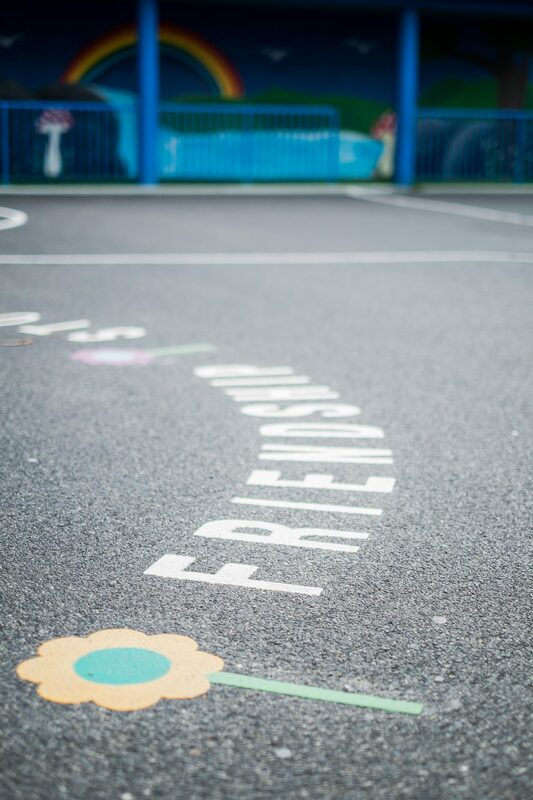 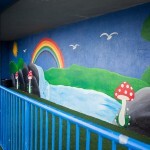 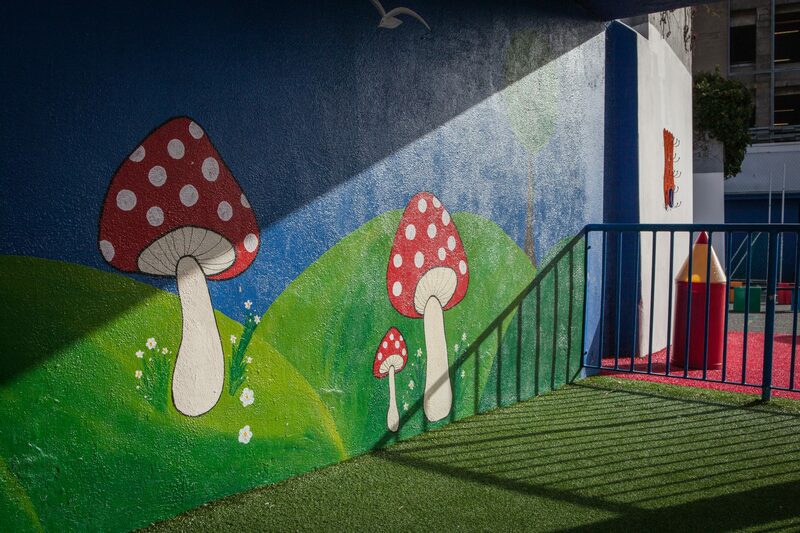 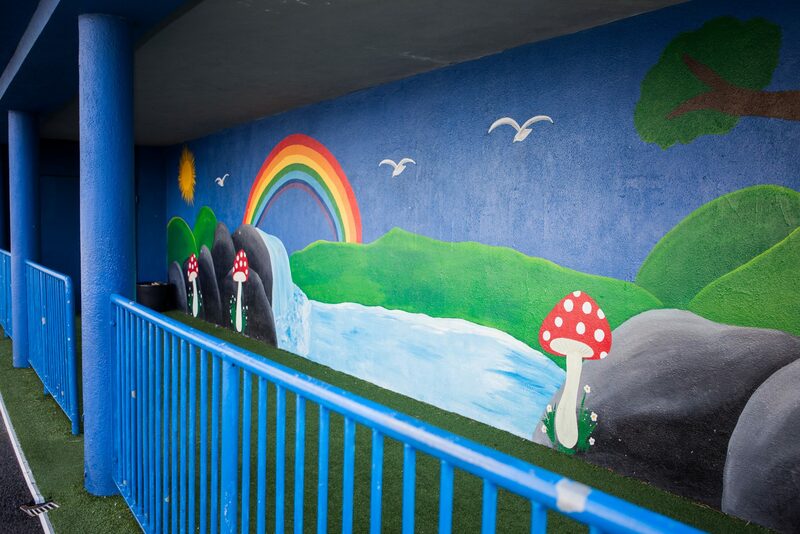 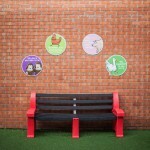 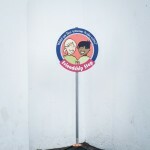 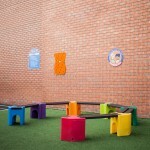 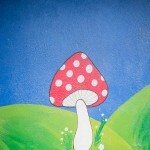 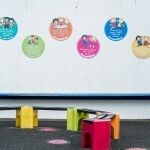 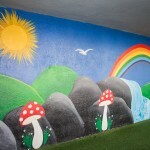 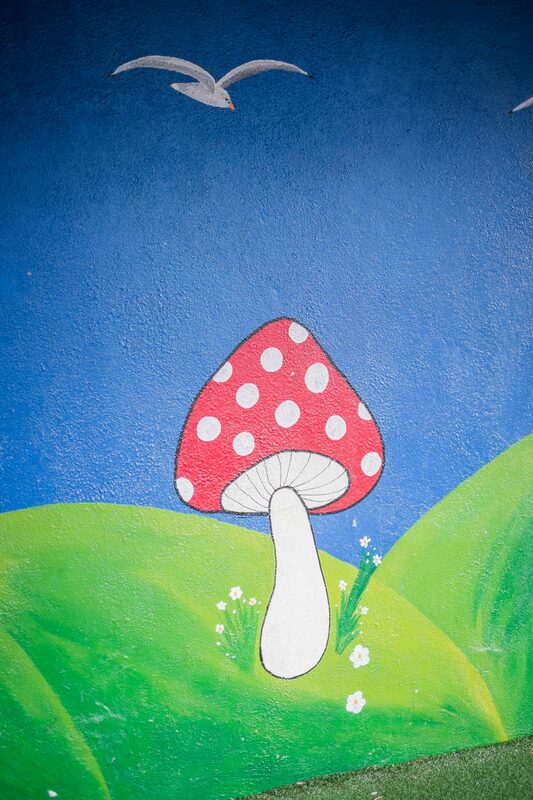 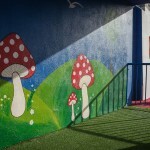 Our Buddy Benches and Friendship Areas are bright, colourful spaces with a social initiative. 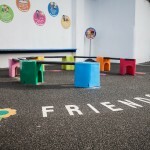 The horseshoe shape seating encourages community and friendship, which is the main aim of the benches. 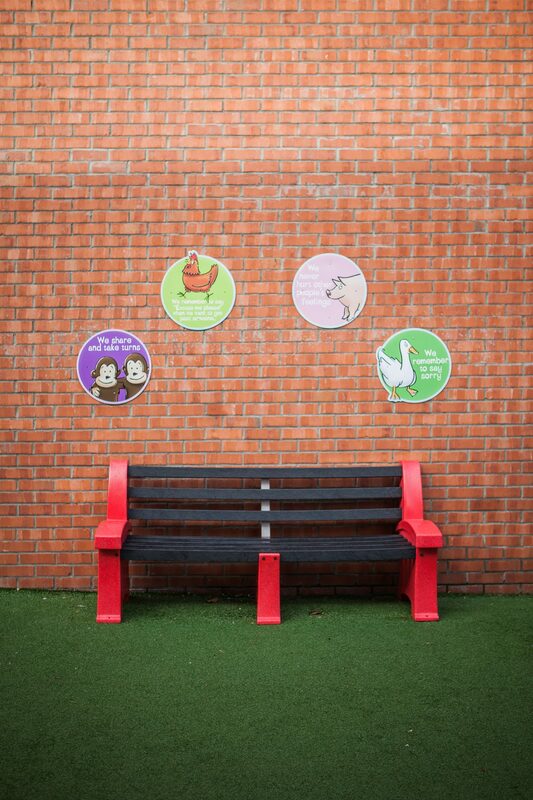 The seats are intended for children to go and sit to find a ‘buddy’ to play with or to chat. 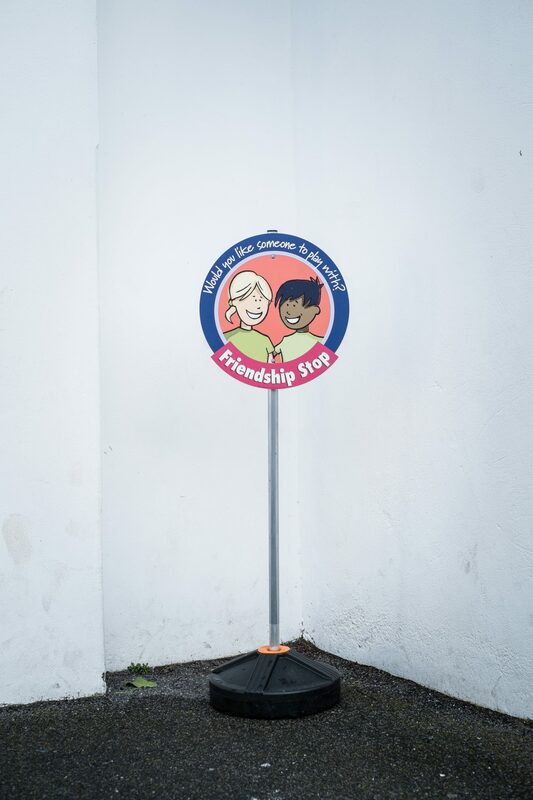 Our older pupils; members of our Student Council, are ‘Buddy Monitors’ who have adopted the buddy role to encourage positive and meaningful friendships and relationships in our school. 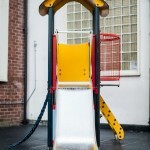 Our fixed equipment offering swinging, sliding, climbing, hanging, balancing and jumping options fits in the active area. 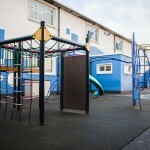 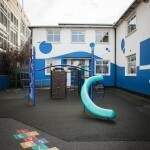 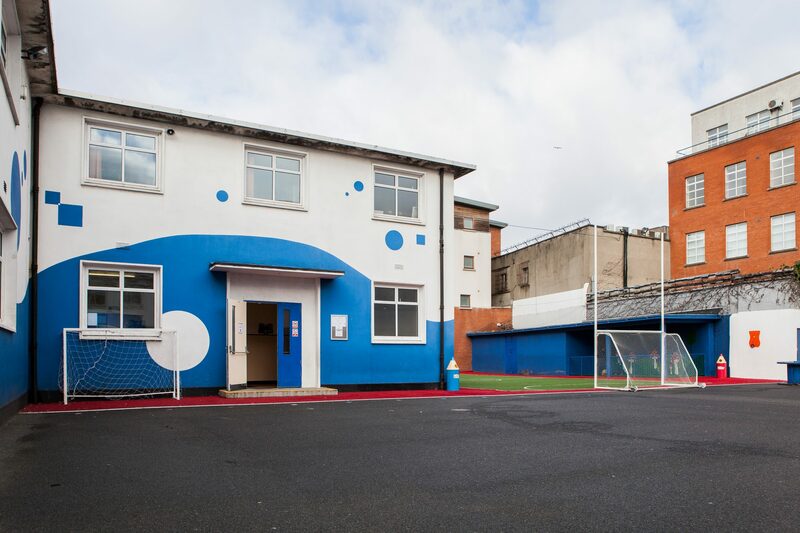 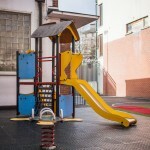 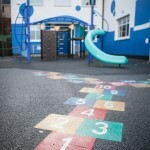 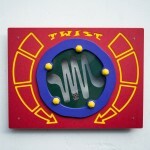 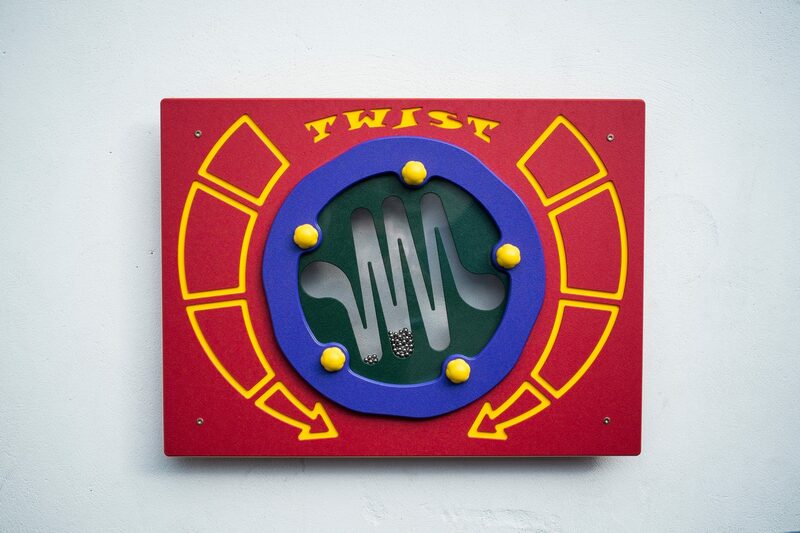 Free play areas include open spaces for running, informal ball games and activities. 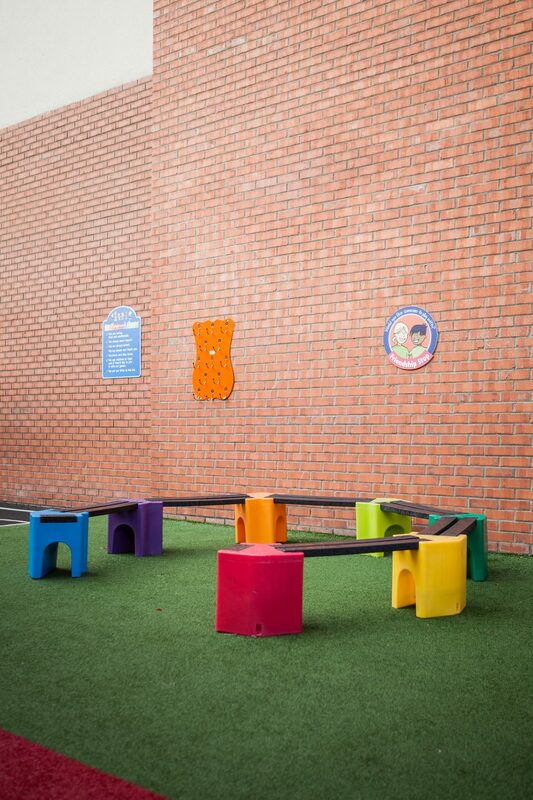 Quiet areas allow an individual child or small group of children to read; talk or play a special game. 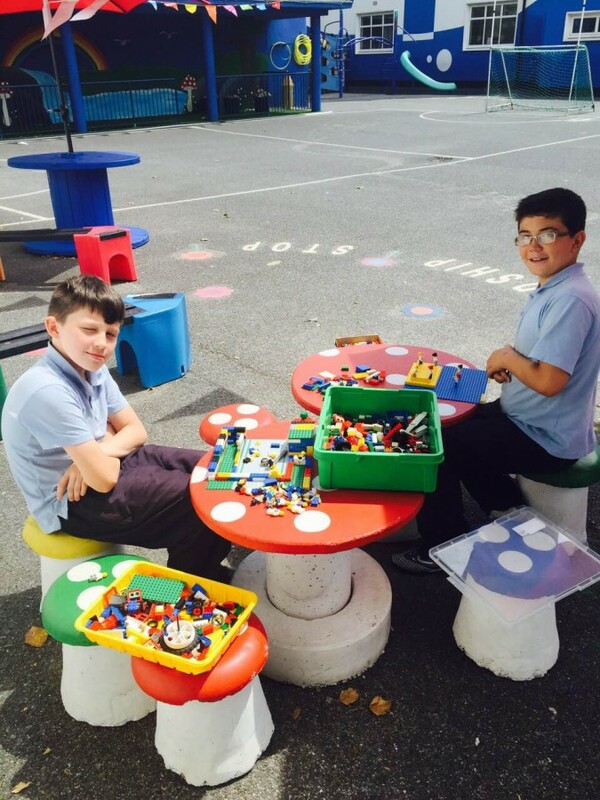 We use one of our semi-enclosed shelter spaces and seating areas to give our students a safe space to chat, read, play cards, build lego or construct together. 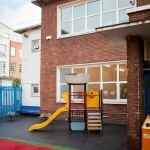 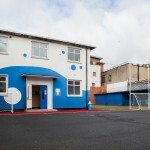 Our social areas allows children an area to chat and dance. 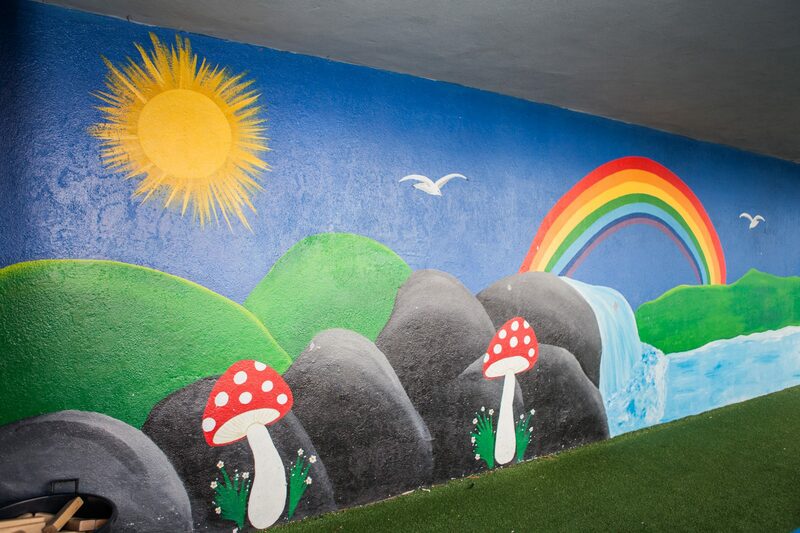 We use one of our semi-enclosed shelter spaces to give our students an opportunity to get creative! 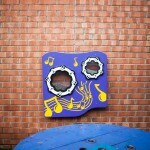 The children have an ipod and an amp and can regularly be seen collaborating their dance moves. 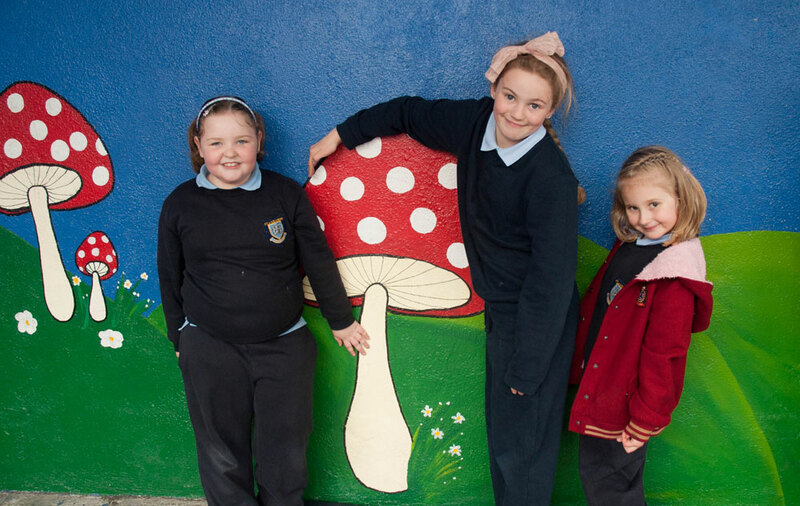 Traditionally in St Audoen’s the older children teach the younger children their best moves! 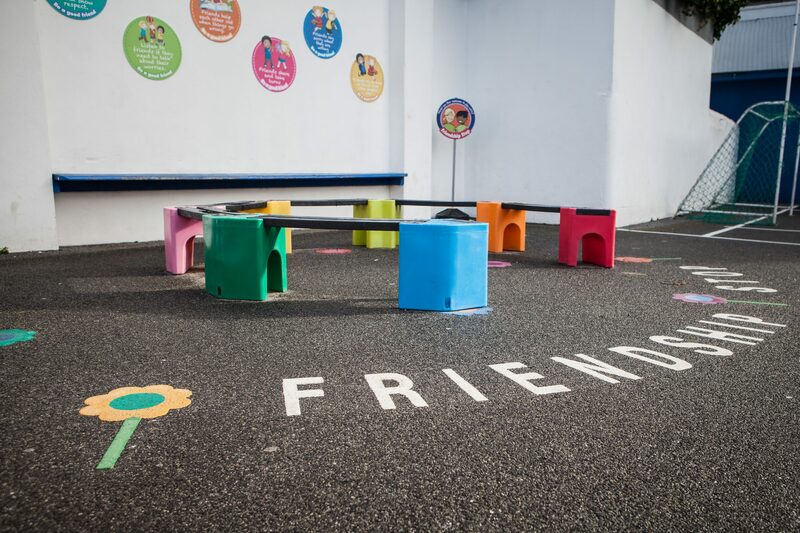 Social Skills – when they play with other children they learn to communicate, share, collaborate and empathise with others. 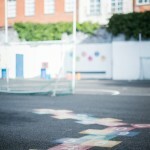 Imagination and creativity – outside play is often open-ended and children need to be creative about what and how games are played. 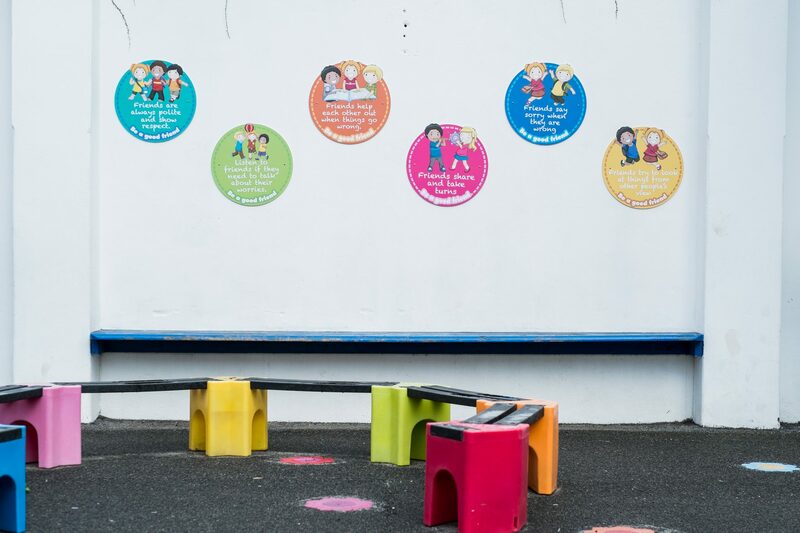 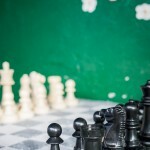 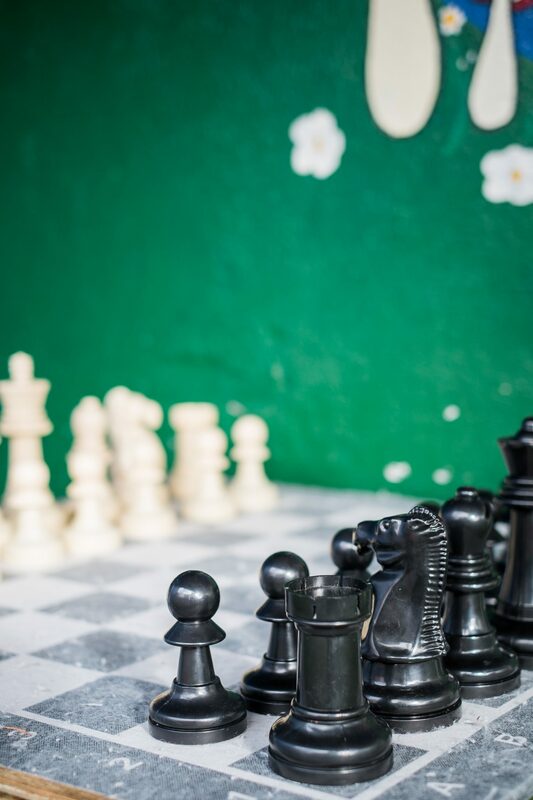 Thinking and problem solving skills – as children assess risks and tackle new challenges they learn about having a go, persistence and perseverance and the success those attributes can bring. 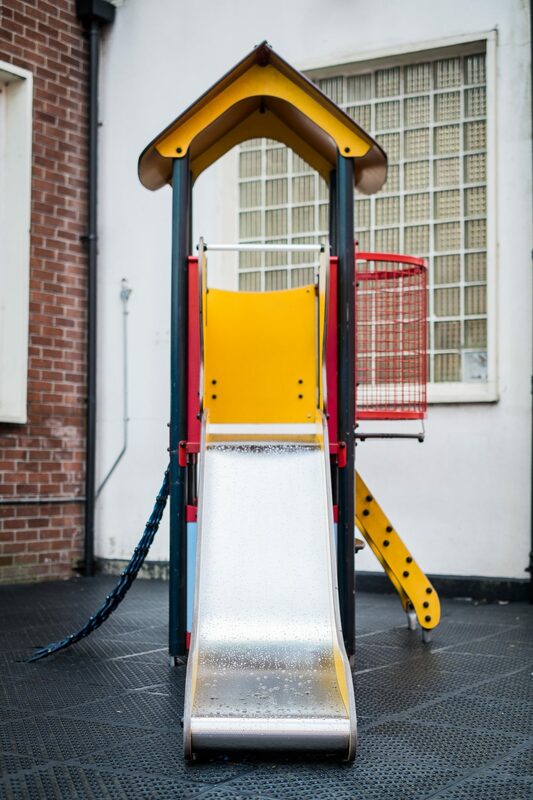 Sense of self – as they master new skills and play with other children they improve their competence and confidence in their own physical and social abilities. 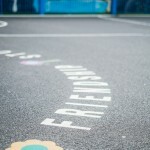 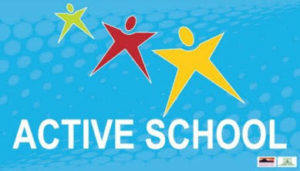 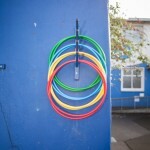 Sense of connection – to place, to peers and to their local community and environment. 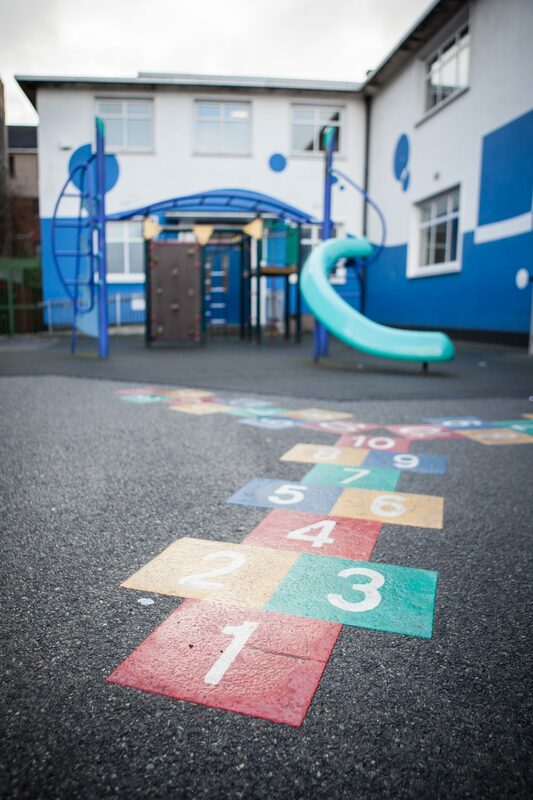 Self care skills – managing physical and social challenges helps children to learn about keeping themselves safe.